Some people fantasize about seeing their life turned into a film, with their favorite stars portraying them and the people in their lives. But what will happen if your life will be turned into a film and you must be the film’s director? 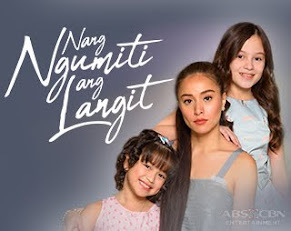 This is the theme of the romantic-comedy film “Last Fool Show” which stars real-life friends Arci Muñoz and JM de Guzman under the direction of Eduardo Roy Jr. and produced by Star Cinema, N2, and EMBA that will be screening in most countries worldwide via TFC at the Movies. 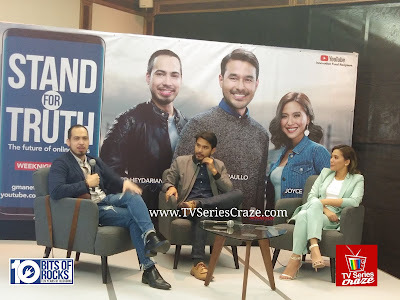 “Last Fool Show” tells the story of Mayessa (Muñoz), an award-winning director who will take inspiration from her failed relationship with Paulo (de Guzman) to create her first romantic-comedy film. But things will get a bit more complicated for Mayessa when she crosses paths again with her ex-boyfriend Paulo. 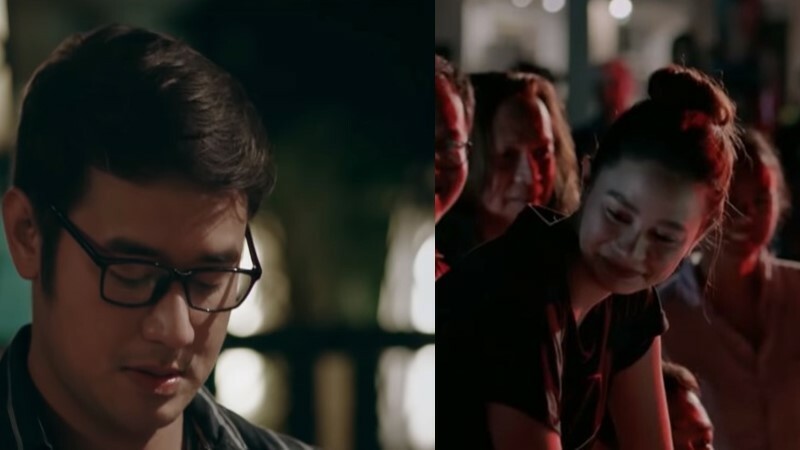 How does doing this film affect Mayessa’s view on her failed relationship with Paulo? 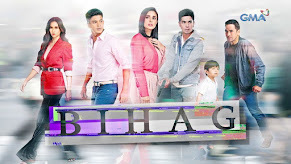 Will this lead them to have a second chance or will this forever end the love story they once had? Find out what will become of Mayessa and Paulo’s story as “Last Fool Show” screens via TFC at the Movies in the following regions on these dates: in the Middle East starting April 18; in the U.S. & Canada starting April 19; in Paris, France on April 28; in Australia, New Zealand, Brunei, and Papua New Guinea starting May 2; and in Saipan starting May 3. 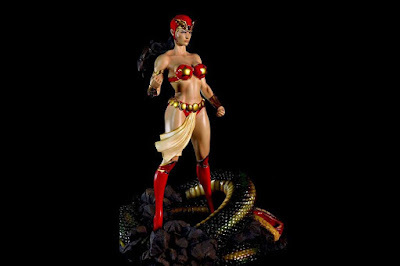 After the exit of Liza Soberano in playing the most coveted role of the famous Pinay Superhero Darna in the big screen, netizens already aired their side of who among our actresses could perfectly play the said role. 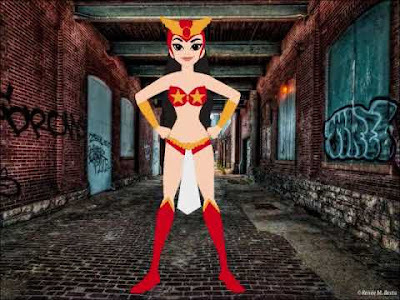 Different fan arts, videos, and edited faces of the different actresses wearing the Darna costume were already viral in the world web wide. 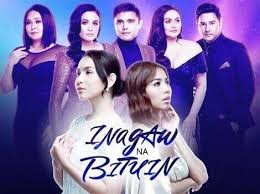 But if you were to chose, who do you think could possibly replace Liza in this most anticipated movie version? 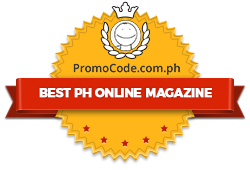 Right now, the top choices are Pia Wurtzbach, Sanya Lopez, Julia Montes, and Maymay Entrata! 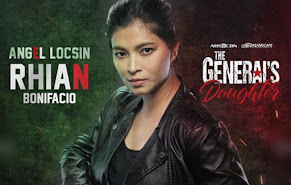 But who else could be the next remarkable actress who could follow the footsteps of Ms. Angel Locsin? 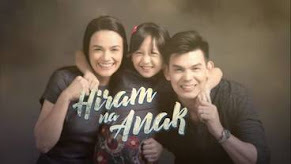 “Handog ang panibagong himig na may iisang diwa. Mga awitin ng pusong umiibig, nangangarap at naniniwala sa nag-iisa at naunang nagkaloob ng musika sa atin. 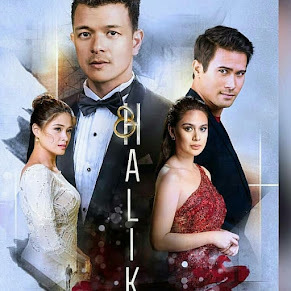 Ang Sandiwa ay nakikiisa sa pagsulong ng makabagong musikang pilipino. Musikang orihinal at mapagpalaya. 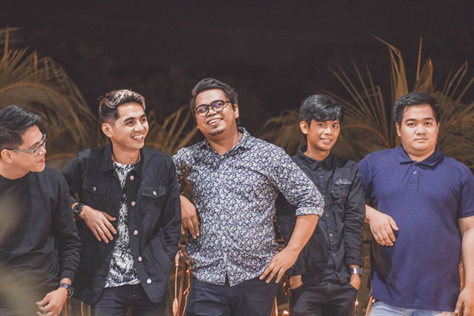 With heart-wrenching lyrics and smooth rhythms, SANDIWA is definitely the newest alternative rock band to watch out for. 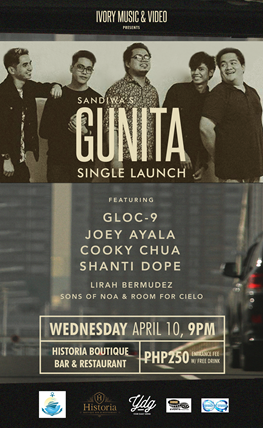 Their debut single Gunita – released on all digital stores last March 22, 2019 - will have you head-bobbing while reminiscing yesterday’s beautiful love. Sawi or not, you’ll find yourself reeling and hitting that repeat button - if only to get hurt all over again. The song has been receiving wide acclaim both online and in live performances. The band is composed of Samuel Mopal, Yeoj Rivera, Jeremiah Torda, Harold Tabuno, and Alex Rale, SANDIWA is managed by Ms. Thea Pollisco, under the same umbrella as renowned OPM artist Gloc-9 and newest hiphop hitmaker Shanti Dope. 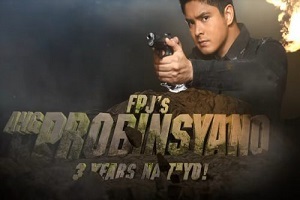 GMA News and Public Affairs launched another digital show. 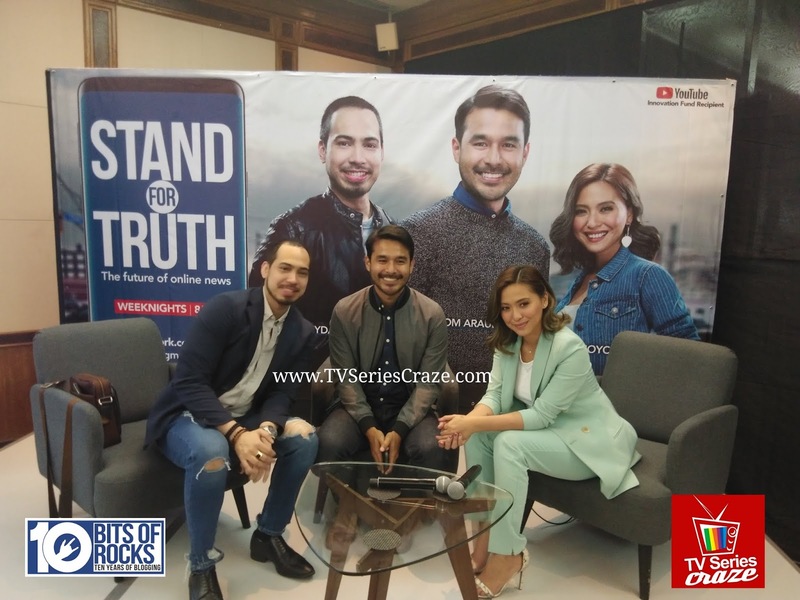 This time, it's an online news program dubbed as the future of online news, the "Stand for Truth." 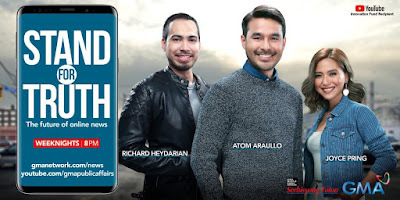 This online news program is headlined by the multi-awarded young documentarist, writer, photographer, and United Nations High Commissioner for Refugees (UNHCR) advocate Atom Araullo, GMA resident political analyst Richard Heydarian, and TV host and VJ Joyce Pring. 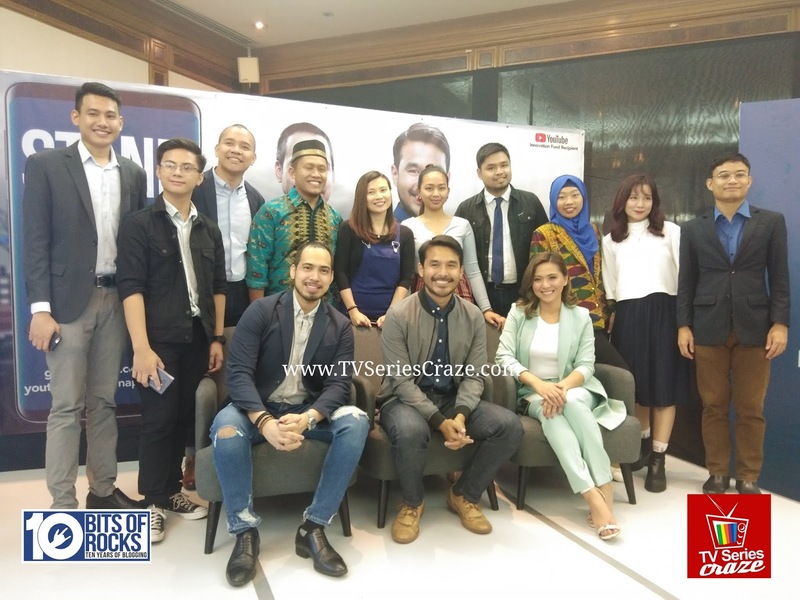 The show is also led by 10 influencers chosen as the correspondents. These short-listed Stand for Truth reporters include Bhea Jeem Docyogen, an Igorot and radio disc jockey from Baguio; Anthony Esguerra, a multimedia reporter, fellow in New Media and Journalism at Ball State University, Indiana, USA; Asmarie Labao, a former forester and DENR Information Officer from Marawi; Shai Lagarde, former TV producer and currently a lifestyle vlogger; Ardo Miravalles, Certified Public Account specializing in the media and entertainment industry; Darwin Quirino, Communications Officer for Department of Foreign Affairs-Office of Middle East and African Affairs; Manal Sugadol, a licensed English teacher and a former administrative assistant from Cotobato; Larize Lee, Chinese-Filipino and GMA Artist Center’s Public Relations Executive, Eduard Faraon, a Senior High School campus journalist; and Jerald Uy, former TV reporter, Road Safety Advocate, and vlogger. Beginning April 15, the most internationally-awarded broadcast news organization in the country GMA News and Public Affairs brings the future of news as it launches “Stand for Truth: powered by GMA’s Digital Video Lab”—a weeknight online newscast produced and reported by the young, for the young and headlined by Atom Araullo with Richard Heydarian and Joyce Pring. 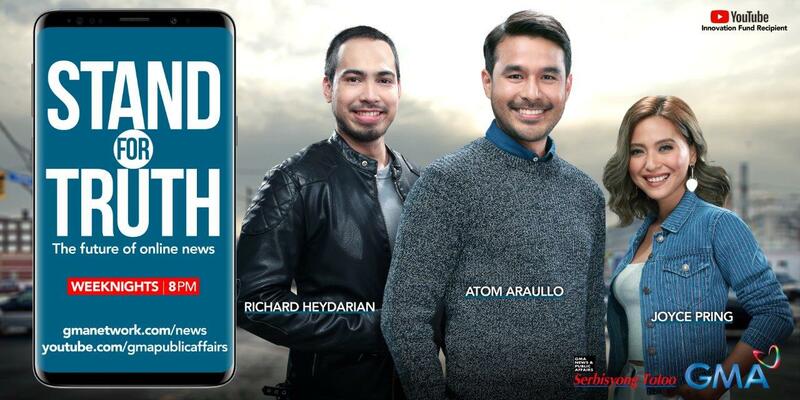 Airing from Monday to Friday at 8 pm, the 15-minute news program will be livestreamed via GMA News’ YouTube account and GMA News Online, and shared on GMA Network’s various social media sites. 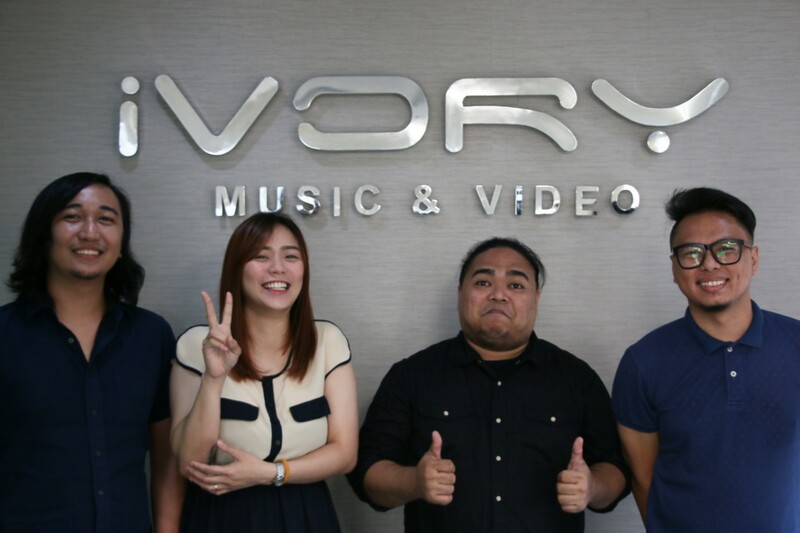 It will incorporate music, the latest in mobile journalism, and new storytelling tools for online publishing. 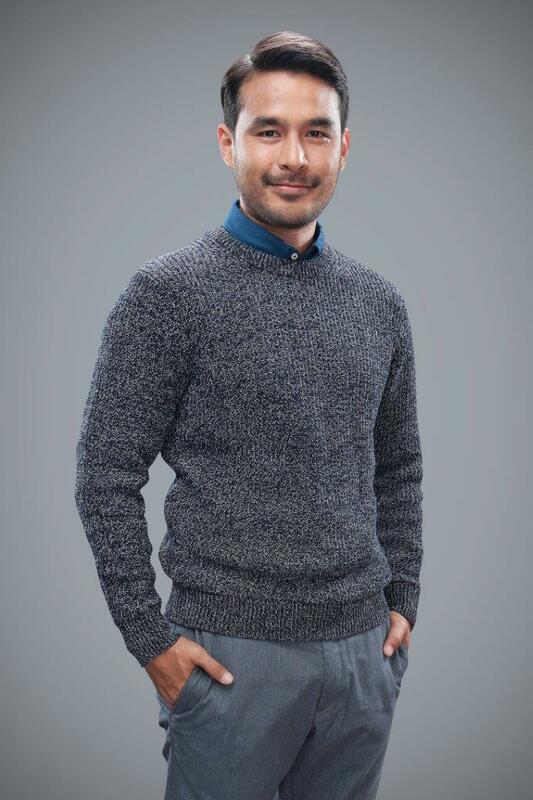 Leading the young team of anchors is multi-awarded young documentarist, writer, photographer, and United Nations High Commissioner for Refugees (UNHCR) advocate Atom Araullo. Atom anchors the Stand for Truth from the middle of the GMA Social Media Hub. From there, he will also be an active reporter and a mentor to the young reporters. Joining Atom is GMA resident political analyst Richard Heydarian. Richard will provide on the spot analysis of the biggest news of the day. He will also present a data-driven segment showing the numbers involved in an issue, the history, and the policies behind it. Born in Baguio, Richard took up Political Science at the University of the Philippines-Diliman and previously taught at De La Salle University and the Ateneo De Manila University. Richard is known for his expertise in the South China Sea dispute and Philippine current affairs. Meanwhile, Joyce Pring will be in charge of the music segment of “Stand for Truth” using the language and #hugots of the generation. 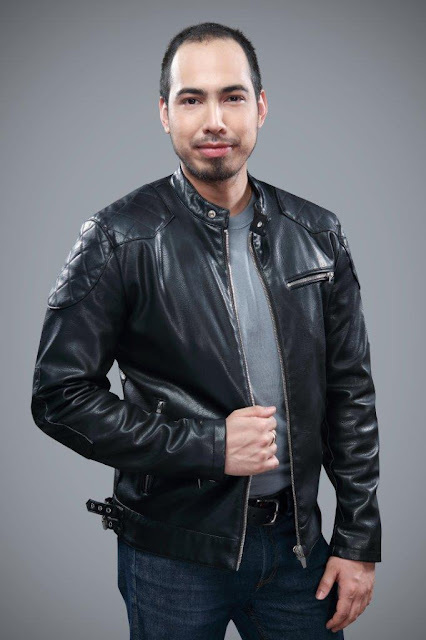 The Kapuso host will also interview some of today’s biggest bands and musicians in the country. 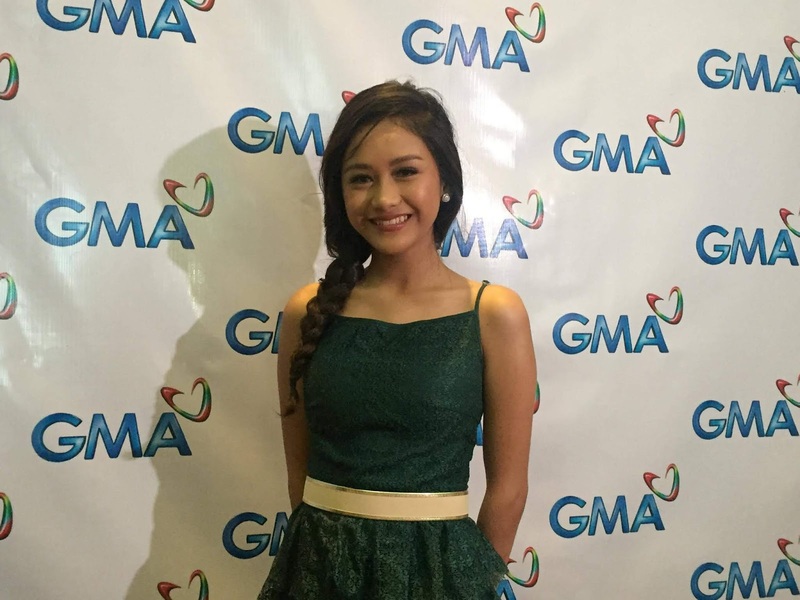 Joyce is one of the hosts of the longest-running morning show Unang Hirit and GMANetwork.com’s Kapuso Artistambayan. She also produces the podcast #AdultingWithJoycePring and uploads vlogs on her YouTube channel every week. 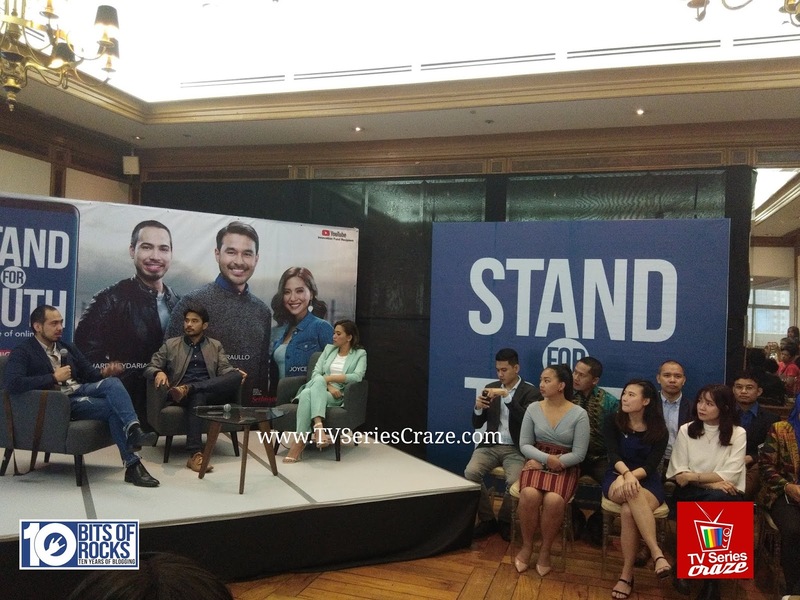 Aside from these experienced media personalities, a new breed of young reporters will take the spotlight in Stand for Truth. Young, aspiring journalists from Luzon, Visayas, and Mindanao sent in their sample mobile video reports using GMA’s YouScoop facility. 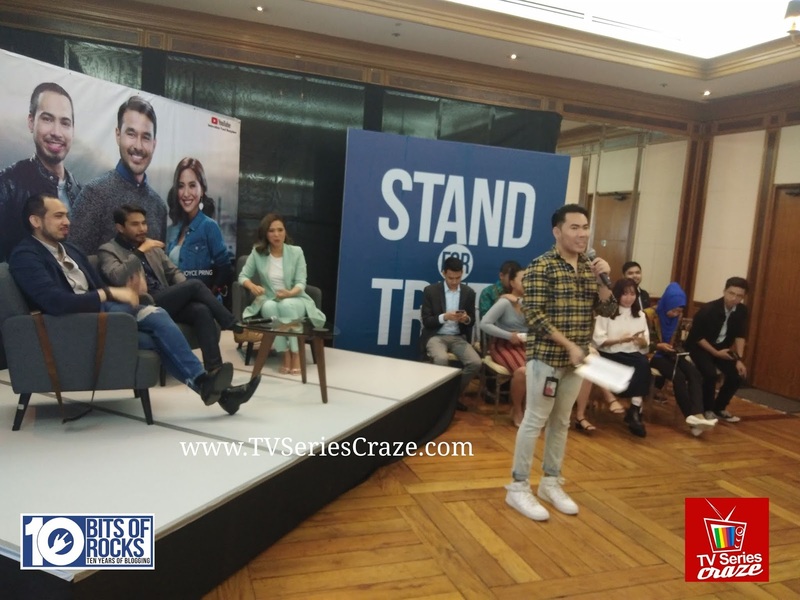 They went through several levels of audition process until only 10 of them were chosen to undergo trainings and workshops by some of the country’s most-awarded and highly-esteemed broadcast journalists to continue the legacy of the GMA newsroom. 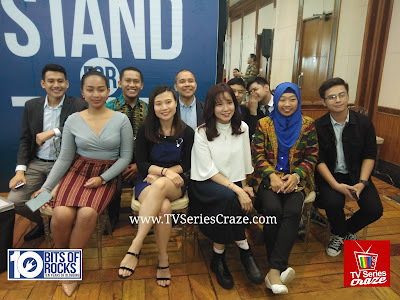 These short-listed Stand for Truth reporters include Bhea Jeem Docyogen, an Igorot and radio disc jockey from Baguio; Anthony Esguerra, a multimedia reporter, fellow in New Media and Journalism at Ball State University, Indiana, USA; Asmarie Labao, a former forester and DENR Information Officer from Marawi; Shai Lagarde, former TV producer and currently a lifestyle vlogger; Ardo Miravalles, Certified Public Account specializing in the media and entertainment industry; Darwin Quirino, Communications Officer for Department of Foreign Affairs-Office of Middle East and African Affairs; Manal Sugadol, a licensed English teacher and a former administrative assistant from Cotobato; Larize Lee, Chinese-Filipino and GMA Artist Center’s Public Relations Executive, Eduard Faraon, a Senior High School campus journalist; and Jerald Uy, former TV reporter, Road Safety Advocate, and vlogger. 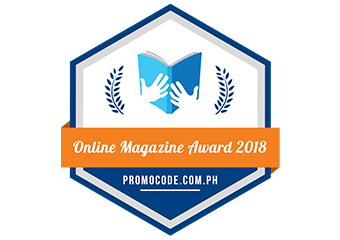 It was in December last year that GMA News and Public Affairs received an innovation grant from online video platform YouTube for “Stand for Truth: powered by GMA’s Digital Video Lab”. It aims to reach younger news viewers while continuing the legacy and the principles the GMA newsroom has always stood for. After the long wait of seeing her wearing the gear of the most iconic Pinay superhero, Liza Soberano withdrew from portraying the role of "Darna" in the big screen. The news spread like a wild fire last night in the world wide web. Netizens were shocked knowing the issue. At first it was Angel Locsin because of the spine injury, this time, it was Liza because of a finger injury. 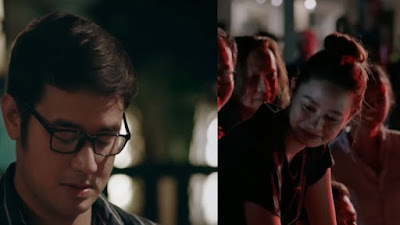 But prior to Liza's withdrawal, it was the original director Erik Matti who left the film project because of the 'creative difference' issue. Currently making waves in the local music industry, alternative pop band MADELINE takes a leap further by signing to Ivory Music & Video on April 3, 2019. 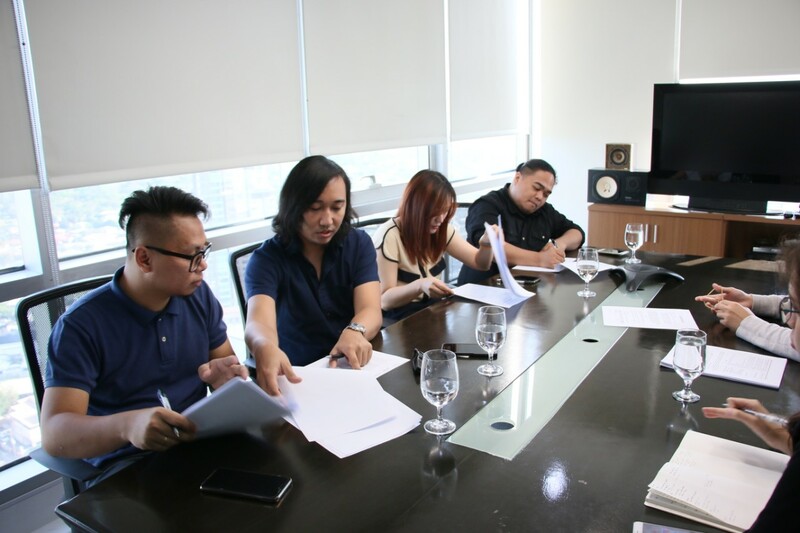 Present in the signing are band members Madeline Regalado (vocalist), Shan Regalado (drummer), RB Bandiola (guitarist), and Jerome Faustino (bassist); and Mr. Xavier Aguilar (Ivory A&R). 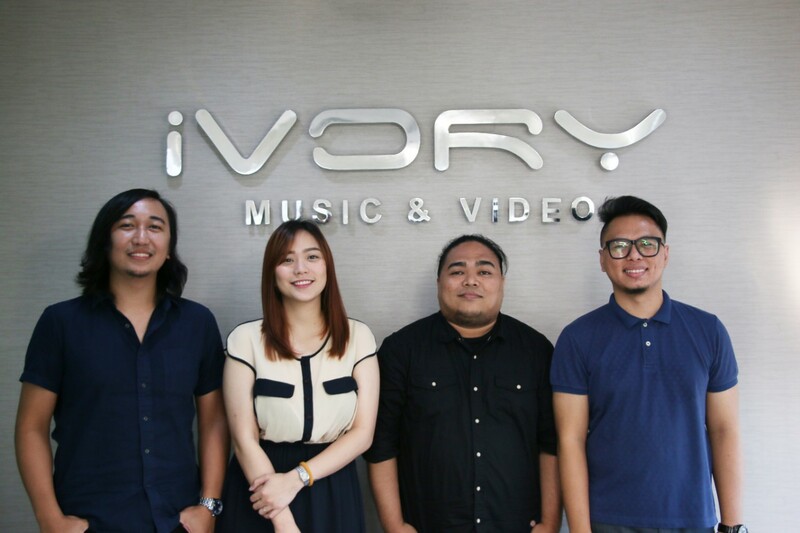 Formed in 2017, Madeline’s powerhouse crew came together from various bands – Madeline was the vocalist of Paraluman (popular hit “Tabi” released in 2008), Shan plays drums for rock band Mayonnaise (“Jopay,” “Tayo Na Lang Dalawa”), RB played with Zamboangueño pop band Maldita (“Por Que”). Their bands being all under one management – Yellow Room Music Philippines, it was a smooth transition toward the new sound that is MADELINE. Madeline’s music is centered on love and life. It is diverse and versatile, but does not compromise. Despite their music’s flexibility to shift from one genre to another, the lyrics and the meaning behind each of Madeline’s songs still stay true to their purpose: to evoke emotions from the listeners. Madeline’s music style is heavily influenced by the 90's sound with a fusion of the individual members’ influences merged as one. Prior to signing with Ivory Music, Madeline has released several OPM hits, namely “Bilis,” “Wala Na,” and “Di Bale Nalang.” Madeline performed on the Aklas Stage at the recent Rakrakan Festival on March 1, 2019. 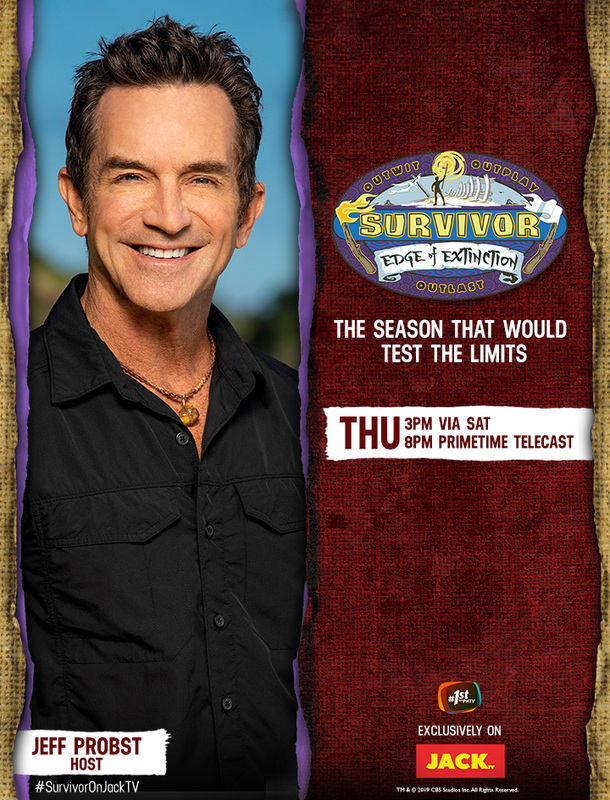 Emmy Award-winning reality competition, Survivor is now on its 38th season. Themed “Edge of Extinction,” this season features 14 new castaways divided into two equal tribes, the Manu Tribe and the Kama Tribe. With four returning players taking a second shot at the game. The returning castaways are Joe Anglim (“Worlds Apart,” “Second Chance”), Aubry Bracco (“Kaoh Rong,” “Game Changers”), Kelley Wentworth (“Second Chance,” “San Juan del Sur”) and David Wright (“Millennials vs. Gen-X”). A new twist to this season is the introduction of the island known as “Edge of Extinction,” which severely tests the will of the castaways to be the Sole Survivor and what they are willing to endure to make that happen. Those who can endure the emotionally and physically difficult challenge will be given a shot for one of them to get back in the game and continue their quest to be the ultimate winner. These new and returning castaways will be forced to compete against each other with the same ultimate goal: to outwit, outplay and outlast each other, and in the end only one will remain to claim the title of Sole Survivor. The show films in the Mamanuca Islands in Fiji, and is hosted by Jeff Probst. Survivor: Edge of Extinction airs every Thursday via satellite at 3PM with a prime time telecast at 8PM exclusively on JackTV. 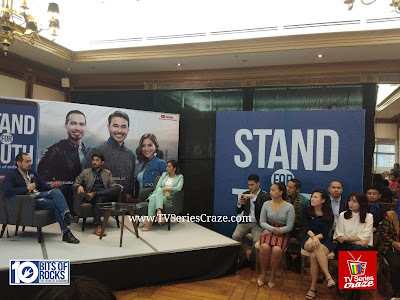 Eugene Domingo is introduced as one of the casts of the upcoming GMA Pictures film "Family History." 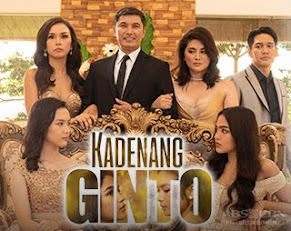 This comedy film marks the comeback of GMA in the big screen. 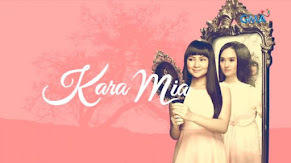 And yes, their film outfit is now rebranded from GMA Films to GMA Pictures. 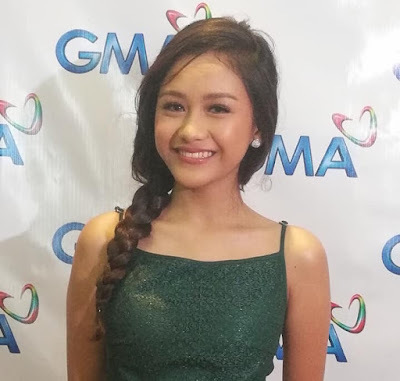 Following the success of her debut single “Ngayon,” The Clash grand champion Golden Cañedo is set to launch her second single entitled “Tayo Pa Rin,” under GMA Music. The young Kapuso singer feels grateful for this latest feat in her music career and looks forward to exploring various genres. “Masaya ako dahil marami ang nag-aabang at katulad kong nae-excite sa mga kantang inaawit ko. Sana patuloy niyo po akong suportahan at ang mga kantang ito dahil may mga kakaiba at bagong musika kaming inihahanda para sa inyo,” she said. Currently, Golden is a mainstay of the musical-variety show Studio 7. Composed by Rica del Rosario, "Tayo Pa Rin" can now be heard on-air in Barangay LS 97.1 and all other Barangay FM stations nationwide. 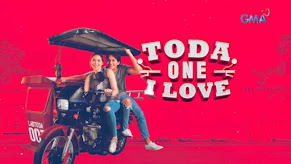 It became available on March 30 on Apple Music, Spotify and other digital stores worldwide.